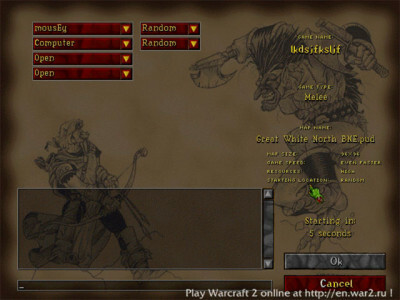 This article explains how to live stream Warcraft II on Twitch.tv using Open Broadcaster Software (OBS). OBS is the best streaming software available. It’s better than XSplit and FFSplit, and it’s free. If you don’t already have a Twitch.tv account register here. 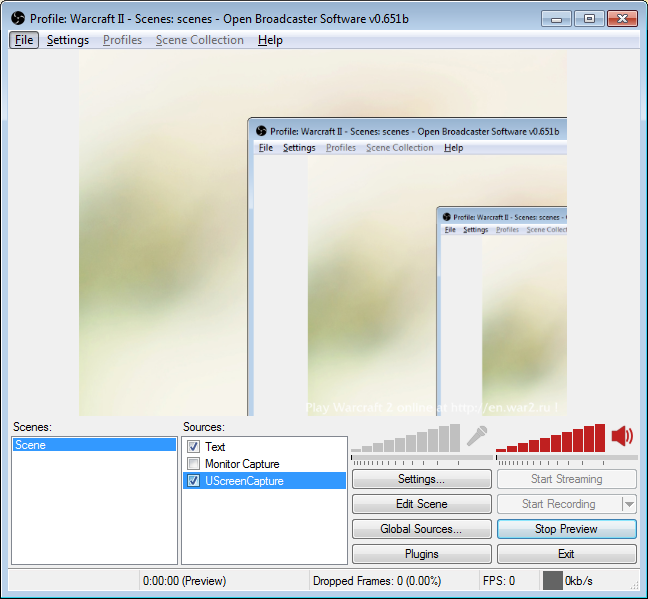 Download Open Broadcaster Software and install it. If you get a prompt about DirectX click “Yes”, download the file from the page it brings you to, run it, wait for it to install, then run the Open Broadcaster Software installer again. Next, you have to set up a capture device in order to capture Warcraft 2. 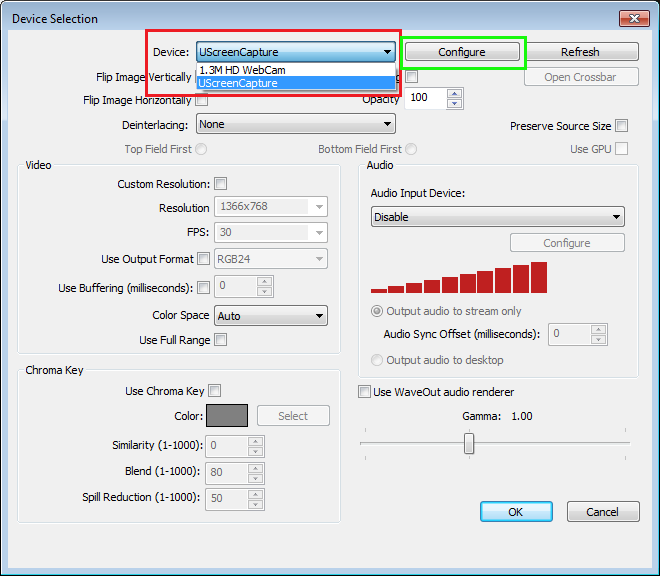 Set up Capture Device 1 for Windows Vista & Windows 7, or Capture Device 2 for Windows 8 & 10. Don’t set up both. For: Windows Vista & Windows 7. Make sure you’re running the 32 bit version of OBS (there is a different shortcut for it). 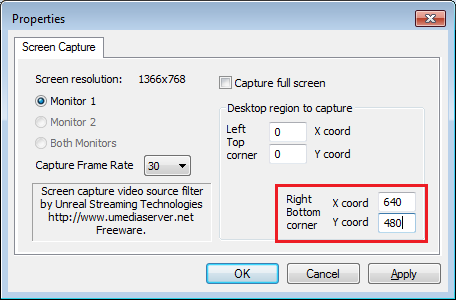 In the OBS main window right click in the empty space below “Sources”, select Add > Video Capture Device and enter “UScreenCapture” as the name. 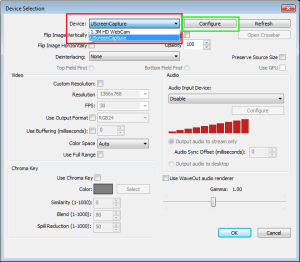 In the Device drop-down menu select “UScreenCapture” (pictured right) (pictured below). If it doesn’t show up either you installed it wrong or you’re not running the 32 bit version of OBS. Next, download uscreencapture.reg, double click it and select “Yes” for all the prompts. This will fix the solid black/red square problem. Doing this step is required every time you change the resolution. Now proceed to the “Once the capture device is set up” part of the guide below. If there’s a solid red or black square, you didn’t do the uscreencapture.reg step right. If colors are wrong, you didn’t do the uscreencapprog_remove_cursor.zip step right. For: Windows 8 & 10. Don’t do this if you already set up Capture Device 1. 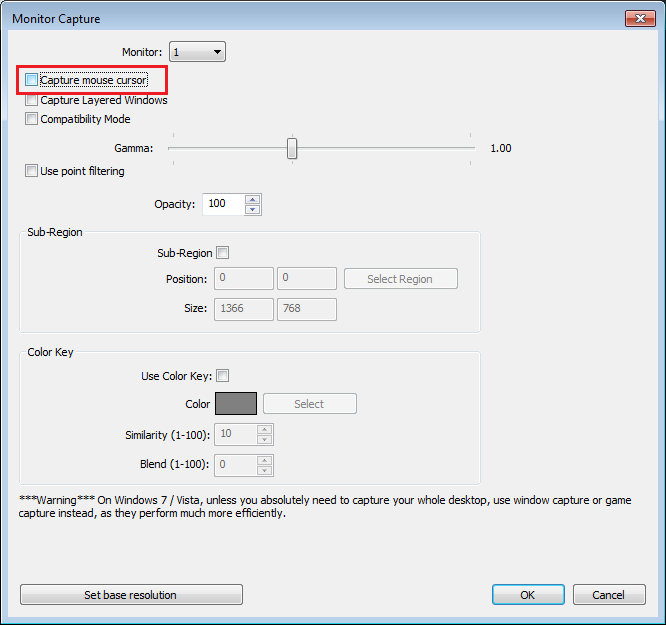 Instead, skip to the “Once the capture device is set up” part of the guide below. Make sure you’re running the 32 bit version of OBS (there is a different shortcut for it). In the OBS main window right click in the empty space below “Sources”, select Add > Monitor Capture and enter “Monitor Capture” as the name. You’re done! Proceed to the next section. Go to Speedtest.net, run a test, and make a note of your upload speed. Your UPLOAD speed is what matters! Your download speed doesn’t matter, so ignore it. 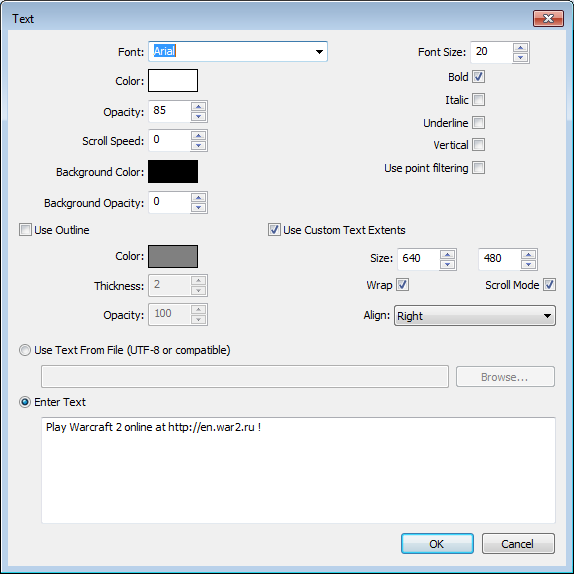 In the OBS main window click Settings and select “Encoding” on the left. 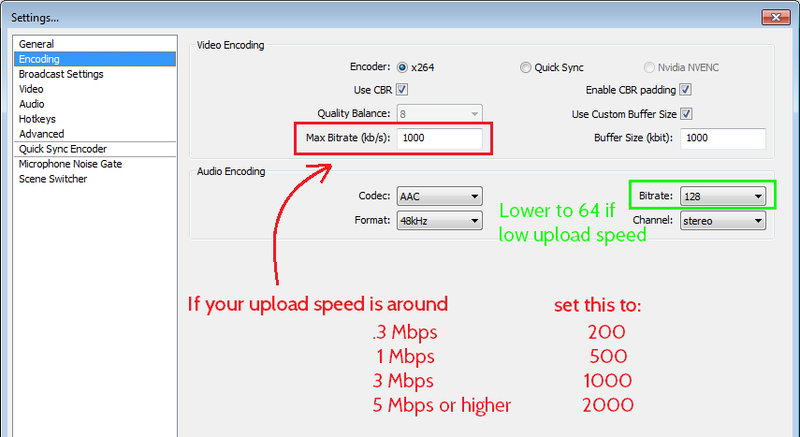 In this tab you can set the bitrate of your stream. Higher bitrate means better quality but also more lag. If you have a newer PC, you can switch to QuickSync for higher performance. You can optionally enter 60 – 120 in the “Delay” box to delay your stream 1 – 2 minutes (useful e.g. when playing tournies or other highly competitive matches) but leaving delay at 0 is generally better to give your audience the best viewing experience. Select “Audio”. 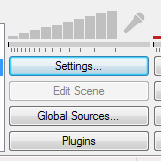 If you have a microphone you can enable or disable it here. When disabled the microphone volume bars will appear grayed out in the main OBS window. If you enabled Quick Sync in the “Encoding” tab, in the “Advanced” tab you should adjust the Quick Sync preset to “Balanced” (the default is “Best Quality” which will probably lag you). Click “OK” to exit the Settings window, then click on “Preview Stream” to preview your stream. You should see the upper left-hand corner of your desktop – this is normal. (When playing Warcraft 2 the game will display perfectly.) If everything looks good, then click on “Stop Preview”. You’re now ready to stream! You can click on “Start Stream” to begin streaming, or set up custom hotkeys under Settings > Hotkeys. 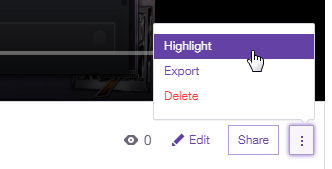 For Twitch to save your videos you must click this link to enable the “Store past broadcasts” feature in your account. Once enabled Twitch will save all your past broadcasts for two weeks after the live stream date. 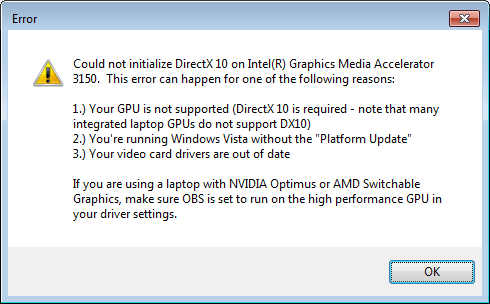 If you receive an error message about DirectX then your computer will not be able to run OBS — try our alternate guide for FFsplit instead! An optional last step is to add a text overlay to your stream advertising War2.ru. Right click in the Sources window and select Add > Text and enter “Text” as the name. Help support the community. Thanks! Should work on Youtube, yes, but this guide is specific to Twitch.tv which is the only streaming service I’ve used. I’d guess everything would be set up the same, but for step #3 select “Youtube” as the service and enter whatever API/stream key they provide in your account. Is it a possibility, that you could describe and display the method for streaming Warcraft 2, with the new 32-bit version of OBS? I wonderingly discovered that the developers have expanded the capabilities, and, thereof, embedded (or brought) a number of new options and settings, within the interface of the software. I certainly hope, that you wish to accomodate my desire. hi Christian, sorry I completely missed your comment. You should be able to follow this guide with the new OBS studio version since all the settings should be approximately the same, the layout is just a little different. Excellent tutorial! I have a quick question though. I’m running Warcraft II on somewhat of a prehistoric system running Windows XP 32-bit. I’m not interested in live streaming, but I’m really wanting to do some in-game video recording. Any thoughts on how to do this? Thank you in advance.